If my recent experiences are anything to go by, restaurant noise levels of late have surpassed uncomfortable and leapt into the realm of absurd. While out at dinner, Seattle’s introverts are forced to shout at their dining companions, turning casual conversation into stress-inducing inquisitions. Servers bring the orders they think they heard rather than what was actually ordered — I’ve had three mistakes of late — leading to tableside awkwardness along with added expense for the restaurant in fixing its errors. It used to be when people asked me for restaurant recommendations, they wanted particular cuisines or Seattle-specific experiences. Now, the most common request is for quiet, whether they’re planning a date night or dinner with extended family, and coming up with good new suggestions is increasingly difficult. 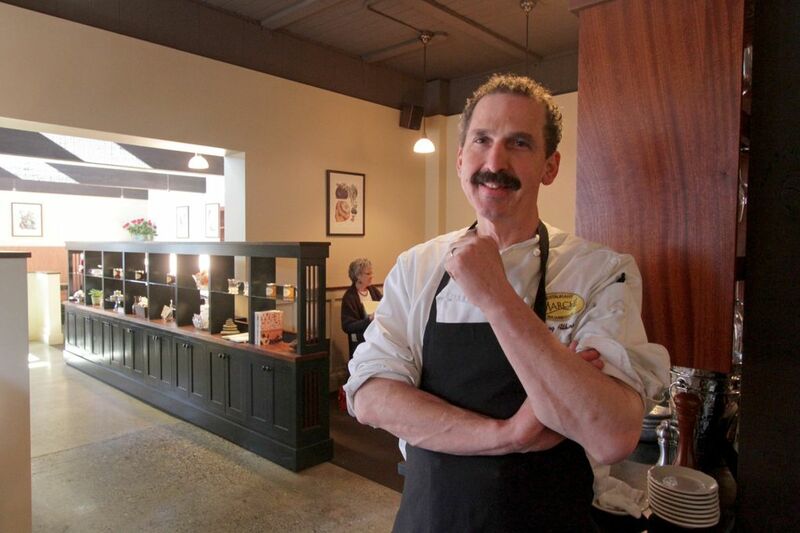 Seattle’s restaurants are getting noisier, and some restaurateurs have realized this. But it’s not an easy fix. Here’s why it’s gotten harder than it might have been in the past to hear your dining companion’s funny anecdote. 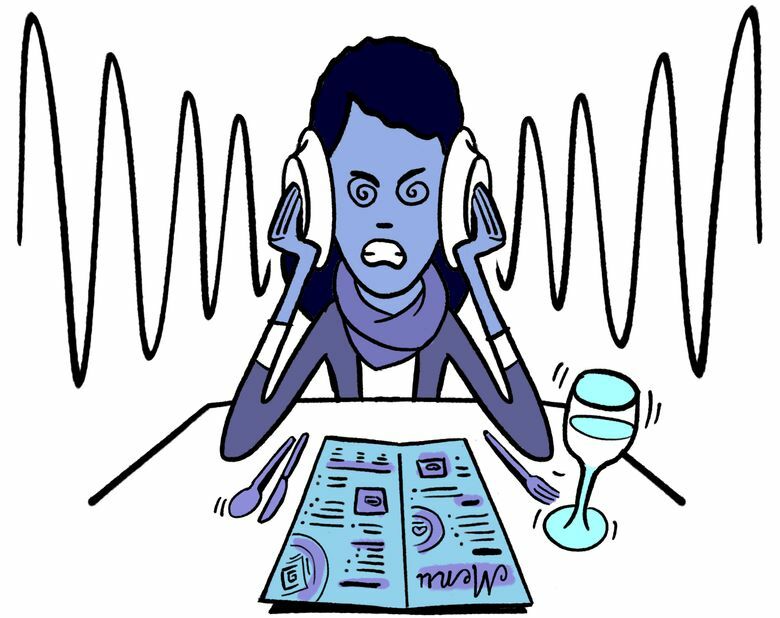 For one, ambient noise in restaurants has generally been regarded as a good thing. Counterintuitive as it seems, restaurateurs have a universal fear of silence. Consequently, more restaurateurs do nothing to manage sound reduction at the start, and then “add a token piece afterwards to try and correct it when it’s too loud,” Miller says. If loud music were the only culprit, it would be an easy fix — servers could turn it down when asked. In reality, the restaurant environment is inherently an incubator of noise. Every restaurant has a similar combination of clattering dishes on cloth-free tables, espresso machines and cocktail shakers, partially open kitchens surrounded by noise-exacerbating hard surfaces, and diners raising their voices to be heard. When left unchecked, it can create a din that seems inescapable. And it’s neither pleasant nor seemingly fixable until restaurateurs prioritize sound as much as they do ingredient sourcing. Miller says Seattle’s new, boxy buildings with concrete interiors and glass fronts are the worst offenders for noise because their design allows sounds to bounce around. Older buildings, with more wood in their interiors, separate rooms and evenly distributed windows are quieter starting points. This helps explain why three restaurants frequently featured on local “quiet dining” lists are Nell’s (opened 1999), Dahlia Lounge (1989) and Canlis (1950) — it’s not only that newer places lack their carpet, upholstery and tablecloths, but that the fundamental architecture has changed. Still, restaurateurs can regulate noise levels by paying a little extra attention to some small architectural details. “My best moments in the kitchen are when I hear the tinkling of silverware, people laughing and talking,” Atkinson says. But, he was also wary of too much noise. To monitor potential noise level from a diner’s perspective before the restaurant opened, Atkinson sat in every spot where there is now a table, adding areas of carpet under tables, and installing some taller-than-average padded banquets to ensure that sound levels are convivial, not shouty. The Dane in Ballard is also in an older building, but has the sound-bouncing combination of big windows and polished concrete floors. Owner Kelly Geubtner wanted a clean, modern, Scandinavian look, and at the start, installed nothing in the way of sound reduction. There were customer complaints about noise from the March 2017 opening, but it took a specific event to force a fix. Hosting its first Bingo for a Cause event in the fall of that year — a situation where attendees needed to hear numbers being called and their own “Bingo!” to be audible — made noise reduction critical. The ownership team went with a do-it-yourself ceiling-panel solution offered by a DJ friend, involving felt from a craft store, wooden boards and insulation panels. This fix has made a noticeable improvement without detracting from the cafe’s aesthetic. Clearly, there’s a large gulf between the cathedral-level silence restaurateurs fear, and the point at which noise makes it so diners can’t even hear each other. The Centers for Disease Control and Prevention notes that normal conversations are about 60 decibels (dB), stress reactions appear around 80 dB (comparable to sitting in heavy traffic with the window down), and damage begins at exposure around 90 dB (standing next to a leafblower) for about two hours. Restaurants can vary tremendously from hour to hour, but my decibel-rating app found the range in Seattle to be from a completely comfortable 71 (Salumi, before the lunch rush begins) to a very challenging 104 (Super Six, in the middle of Saturday brunch). Restaurateurs can track the sound in their establishments easily using similar smartphone apps like Decibel X or the NIOSH Sound Level Meter — there are many to choose from, but their accuracy depends on the quality of a phone’s microphone — to see just how far past “dead restaurant” (and how close to leafblower) their places actually are. Some other things you, dear diner, should keep in mind when looking for a restaurant with reasonable noise levels: avoid places with televisions, kid menus and proximity to sports venues. Stay away from Belltown late on Saturdays and avoid eating anywhere at all at 7 p.m. on Fridays. Google’s “popular times” listings are hugely helpful, and also why I routinely suggest dinner at the unpopular time slot of 5:30 p.m. on Tuesdays. Finally, the iIHEARu app (developed in part by Dr. Kelly Tremblay, of the University of Washington), relies on crowdsourced decibel recordings to make “ear-friendly” recommendations. It has great potential, but needs more recordings and reviews to be truly useful. Restaurant trends come and go, and with any luck, noise is nearing its peak and soon we’ll be able to enjoy the nondeafening dining experience as a whole. Otherwise, we may be reduced to passing notes like middle schoolers and pointing at menus to make sure the servers get our order right. Jill Lightner Jill Lightner is Seattle-based freelance food writer.